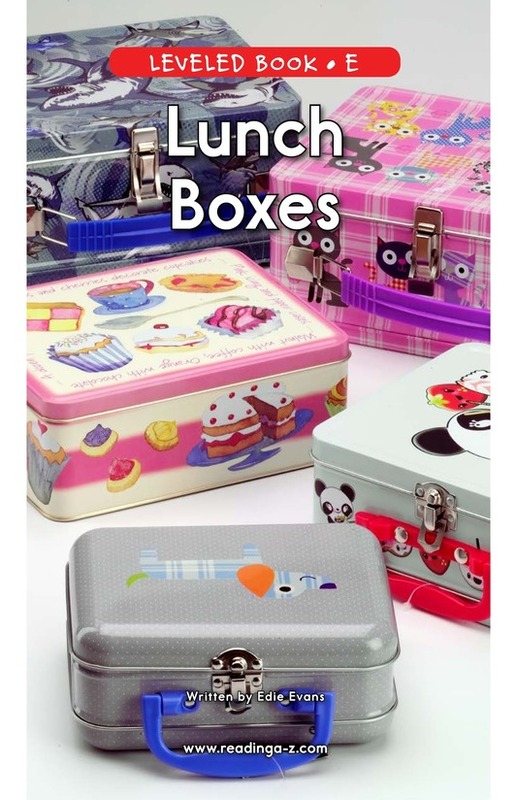 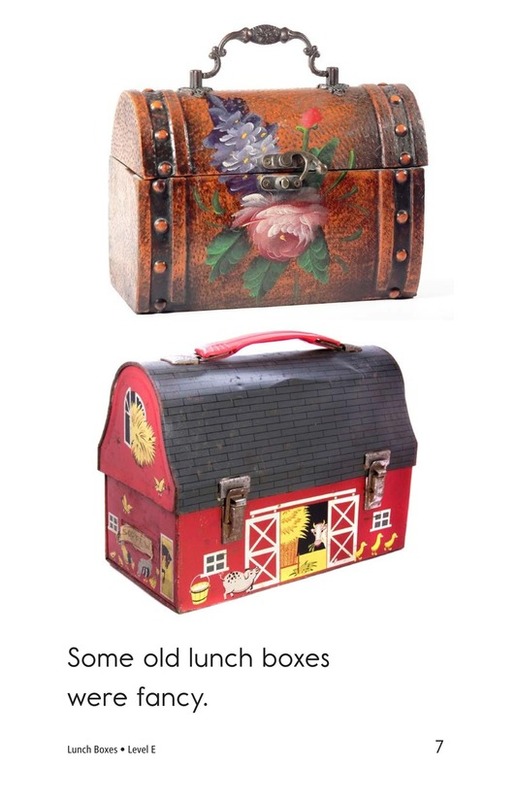 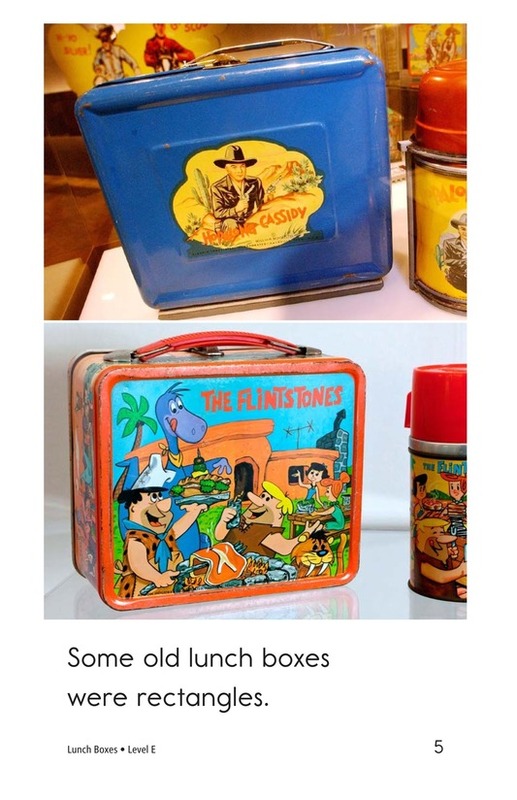 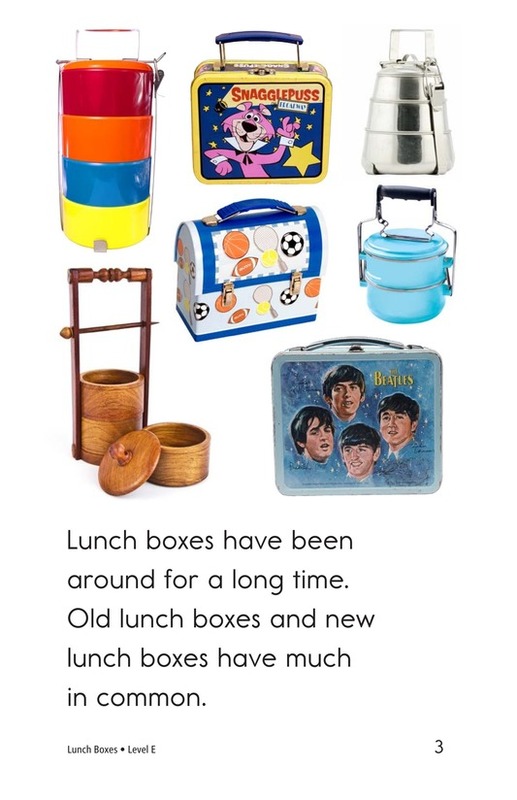 Lunch Boxes describes the different types of old and new lunch boxes. 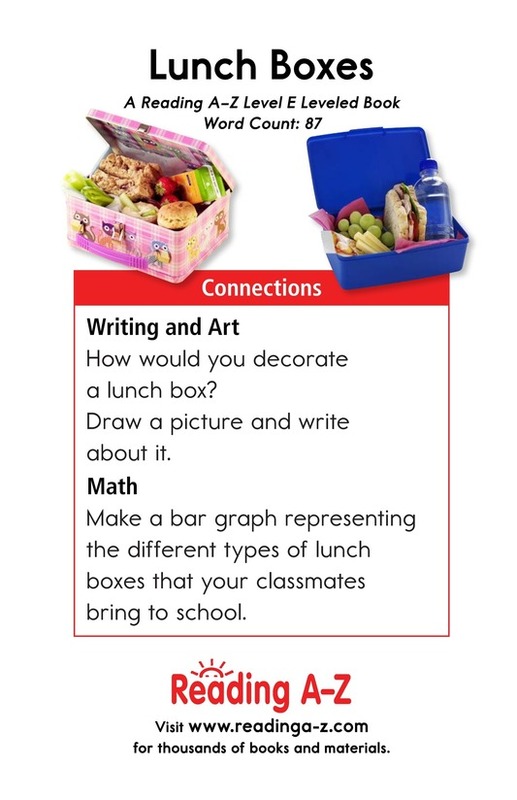 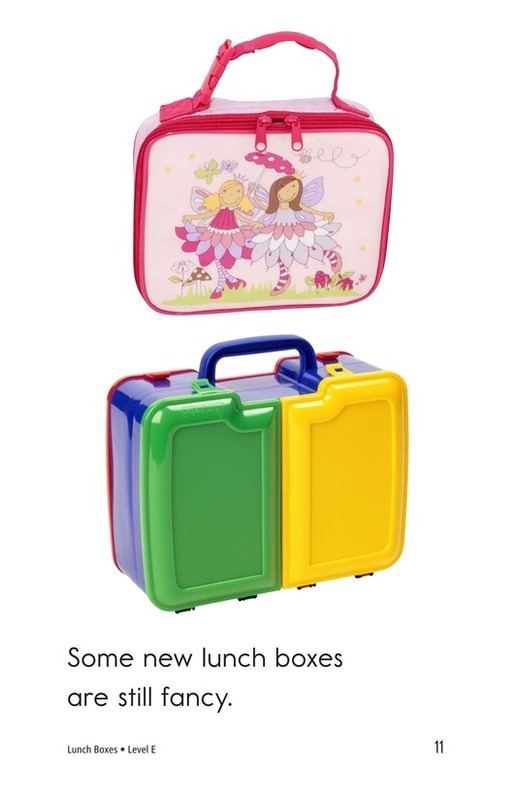 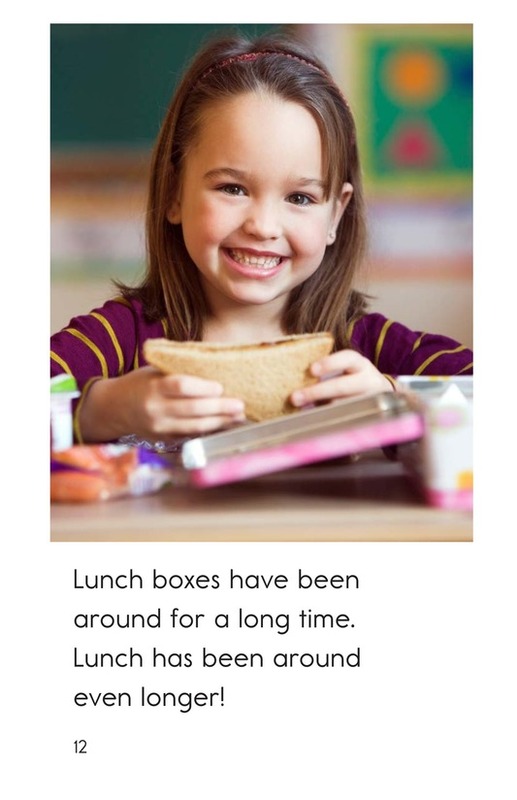 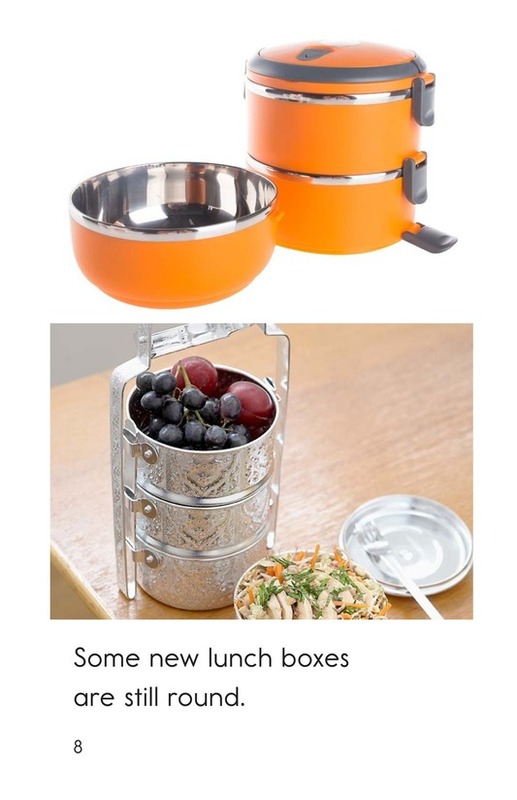 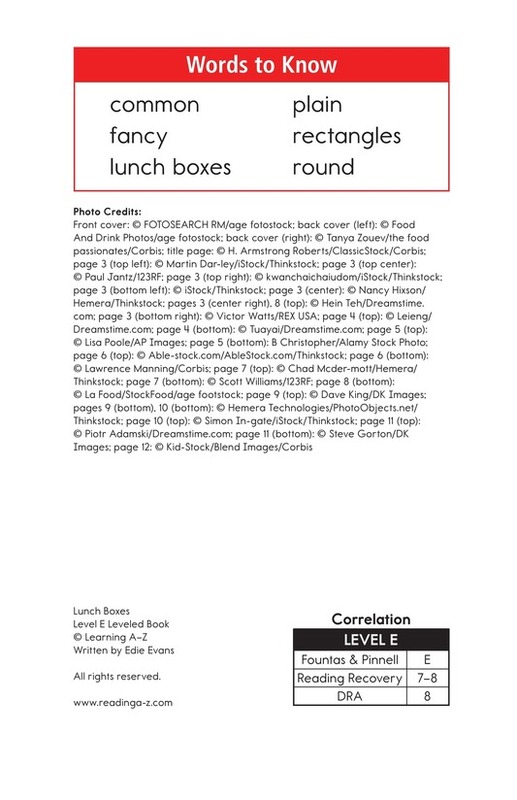 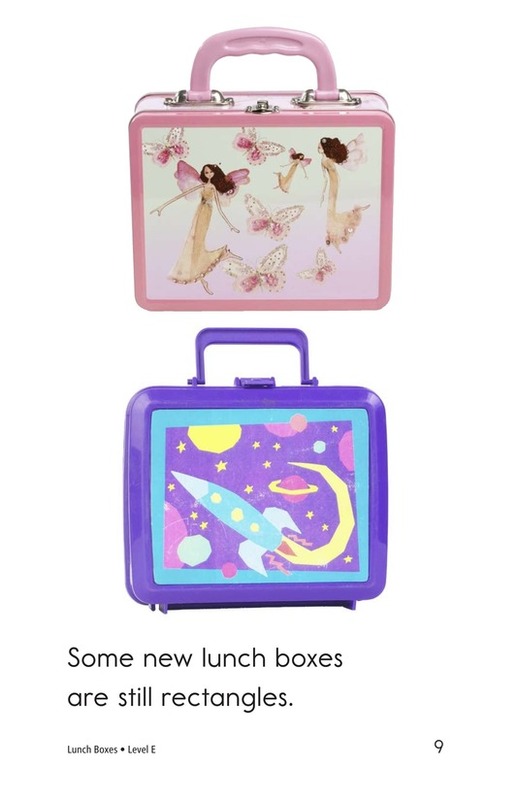 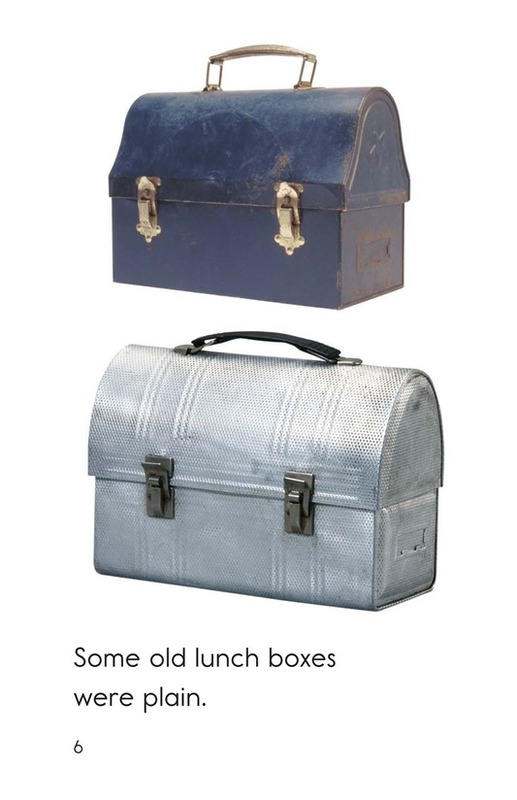 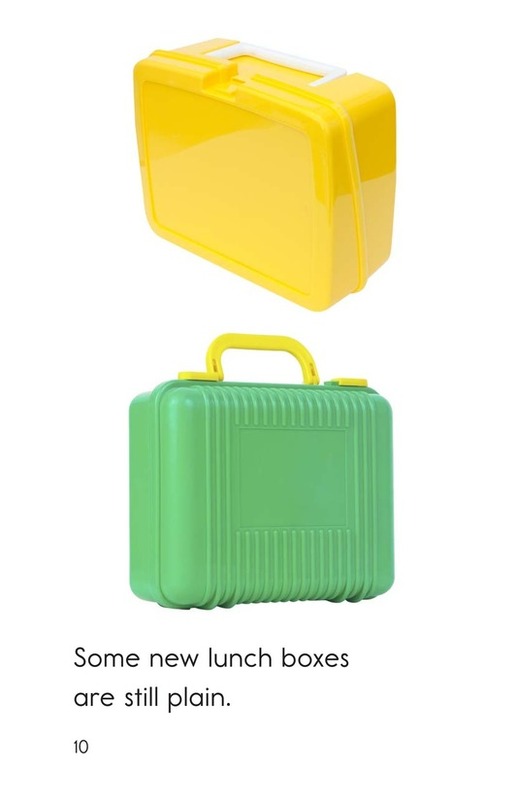 The text compares what new lunch boxes and old lunch boxes have in common. 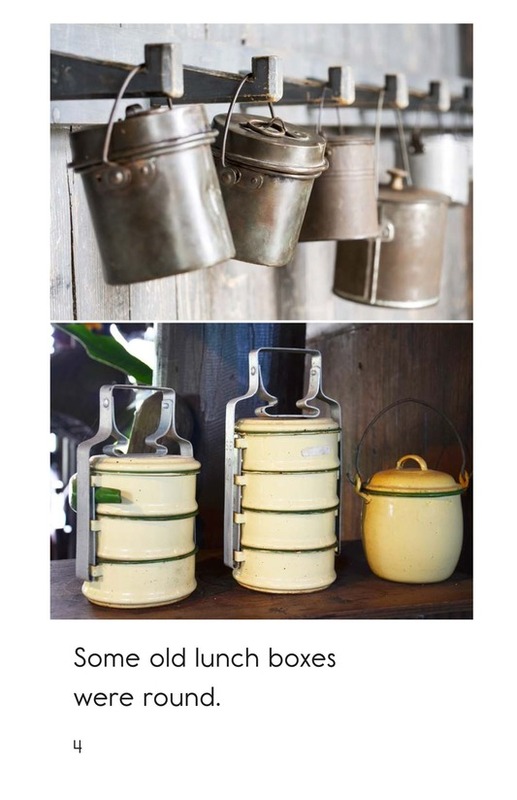 Detailed photographs will grab readers' attention. 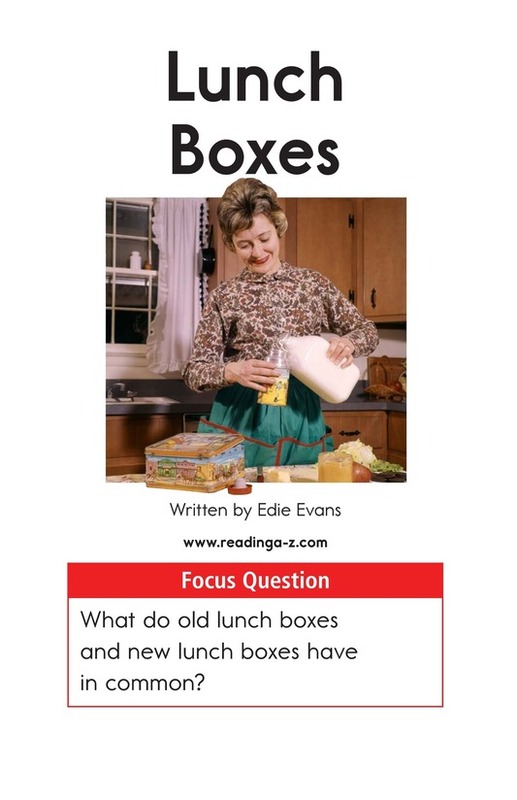 The text provides students the opportunity to learn about adjectives and to connect with what they already know to comprehend what they read.